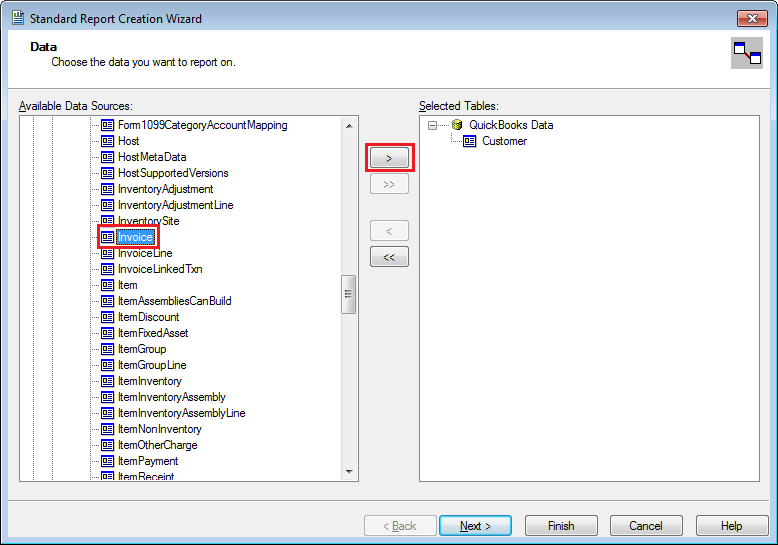 How to Auto Add relationship Between two tables in Crystal Report using QODBC? Relationship can be extracted using the ODBC function "SQLForeignKeys" or using "SP_FOREIGNKEYS"
Instruction: Returns a recordset of the detailed relationship information of two tables. 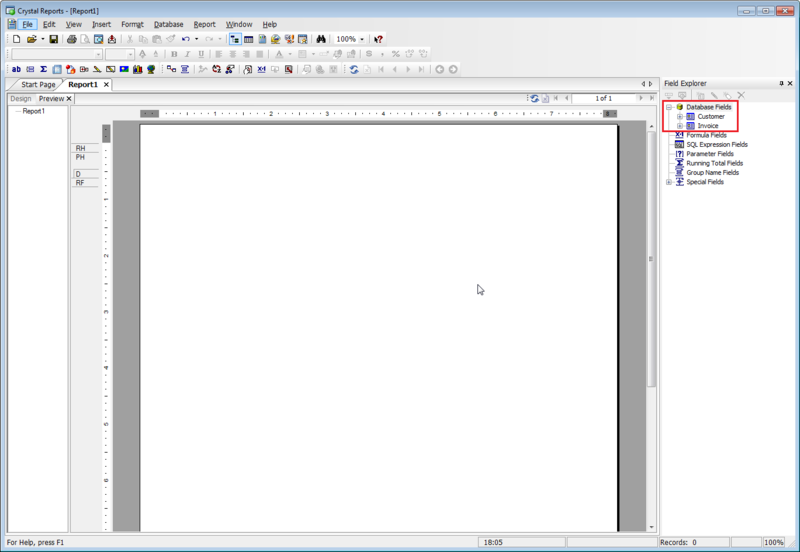 Crystal reports application automatically make use of the relationship method and provide a user-friendly graphic interface to view the relationships between two or more tables. 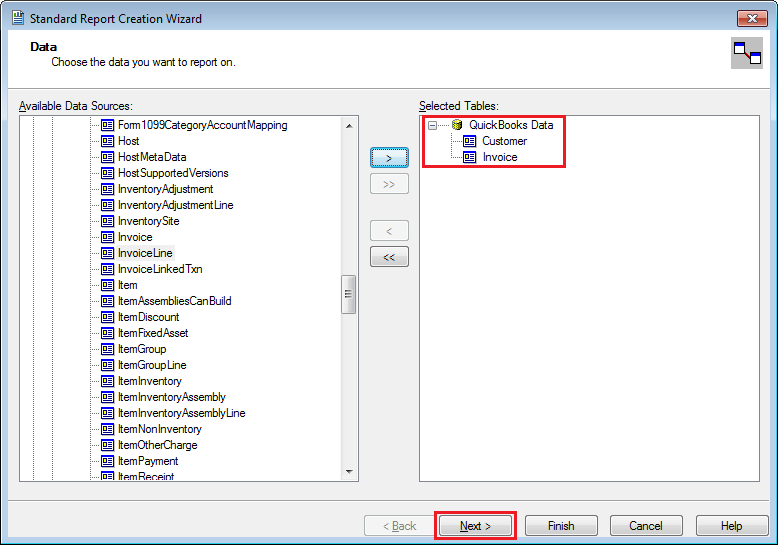 To Auto Add relationship Between two tables in Crystal Report, Please create a new report in Crystal Report & connect to QuickBooks Data through QODBC. 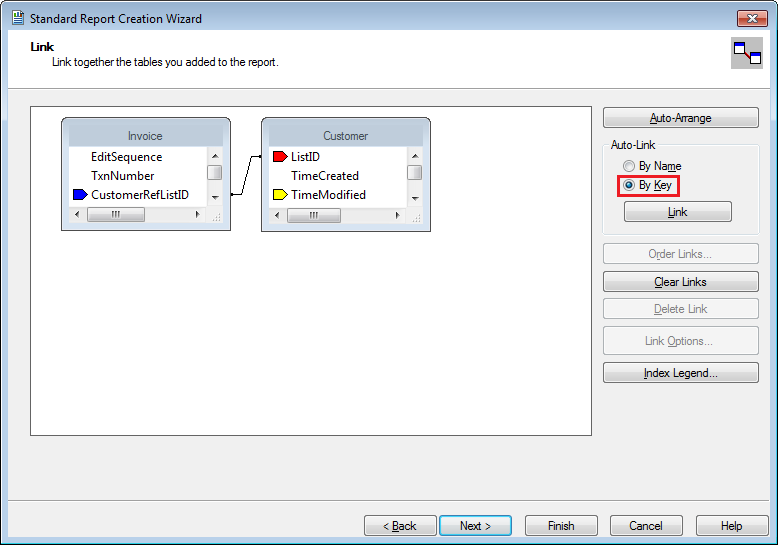 Please refer How to use QODBC with Crystal Reports for connection detail. I am assuming that you have referred above link & connected to QuickBooks from Crystal Report using QODBC. 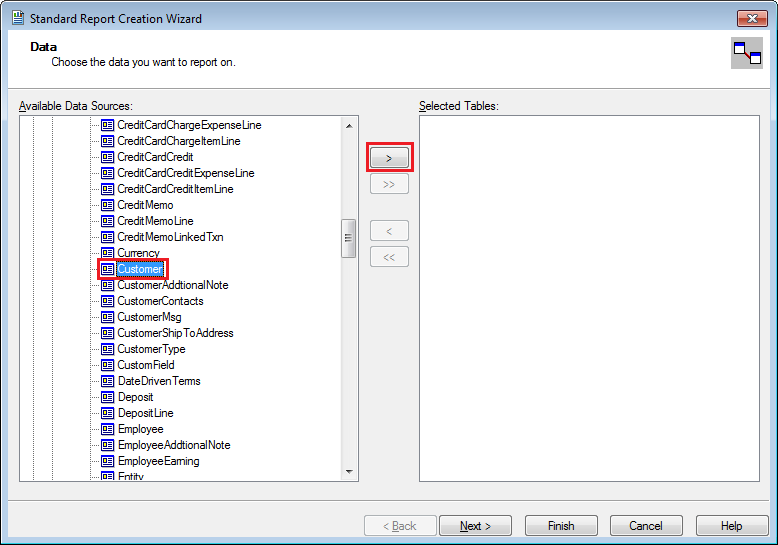 Select the table which you want to add in the Crystal Report & click ">" button. 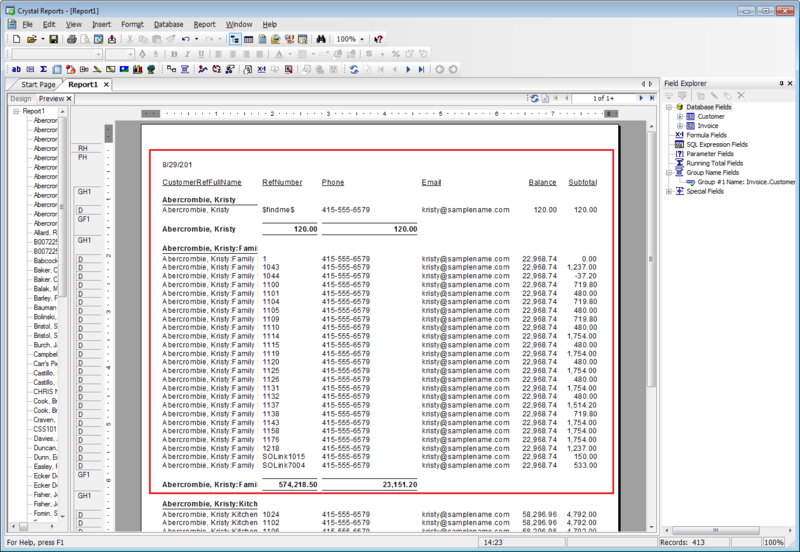 In this example, I am selecting Customer & Invoice table. The Customer & Invoice table data is added to the Crystal Report. Please click "Next" button for link tables. Please select "By Key" option & Crystal Report will automatically link tables according to Primary Key & Foreign Key relationship between two table of QODBC. You can see that Invoice table's "CustomerRefListID" is related to Customer table's "ListID" field. If you select "By Name" option, then Crystal Report will not consider Primary Key & Foreign Key relationship between two table of QODBC & it will link according to the similar column name. For Example Invoice table's ClassRefListID with Customer table's "ListID"
The table fields are now available for selection in your report. 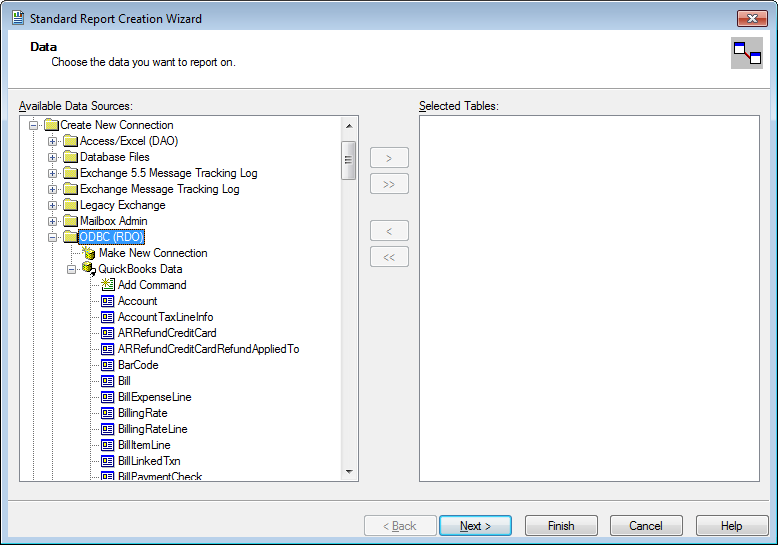 Now, You can perform any operation on table data using Crystal Report. In this example, I have added Customer table's Phone, Email, Balance field & Invoice table's CustomerRefFullName, RefNumber, SubTotal field in the report.